Office attire should always be versatile, and while we might assume a classic blazer or tailored trouser to be the most malleable work item of all, it’s actually a strong collection of the best office tops that will get you through the week with ease. Yes, dresses are easy to throw on in a pinch, but tops (shirts, blouses, knits, etc.) offer up a plethora of styling techniques so you can get creative with your work wardrobe every day. Here, I have rounded up the best tops for the office that I either already own or that are currently on my wish list. The lucky numbers ahead are easy to wear with everything from skirts, jeans, blazers, and you can dress them up or down—the list goes on and on. All you need to know is that investing in a handful of office tops will leave your co-workers impressed, and your work wardrobe will be off the charts. Go on to shop the office tops that will take your work wardrobe to new heights. Wear this top to the office, and then wear it out afterward. Your waist will love you for this. 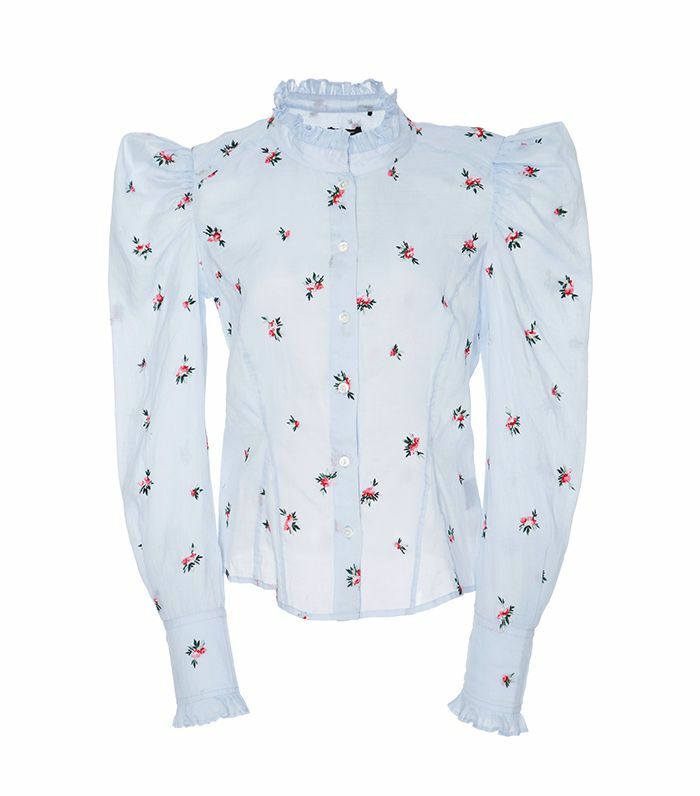 Denim or black trousers will look incredible with this printed blouse. This one is all about the details. This will flatter your waist and your ego. I know, there’s nothing not to love. Sometimes, a simple dot is more than enough. Add some proportion to your everyday office attire. You’ll shine bright in these gold stripes. No joke—everyone in our office has this top. Wear this and feel like you’re living in a cloud. Turn gingham into something a little more fall-appropriate. Make any classic trouser 10 times cooler with this bright top. With that neckline and those sleeves, you can do no wrong. Your favorite pencil skirt will thank you for this one. The 2017 way to wear a button-down. Next up, shop the flattering fall trend that’s so easy to wear.